Remember Hunter Stuart? He was the journalist who arrived in Israel as a pro-Palestinian and soon found that reality did not match his preconceived prejudices. He wrote a piece in the Jerusalem Post explaining how the scales had fallen from his eyes during his eighteen months based in Jerusalem. Meeting Jews from Arab countries seems to have been central to Stuart's about-turn. Smadar was one of the people who helped change Stuart's views. 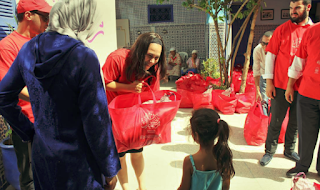 A staunch defender of Israel in her 50s, Smadar and her family had been forced out of Morocco. She and Stuart had long talks together. Overcoming his initial suspicions, Hunter and Smadar became good friends, albeit coming in from opposite ends of the political spectrum. 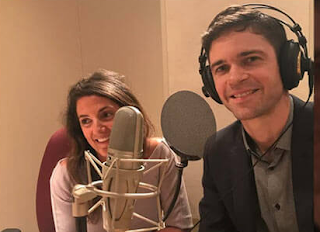 Julie Hazan with Hunter Stuart during the podcast interview. Before arriving in Israel Stuart had 'no idea that a whole Jewish refugee crisis was created when Israel was established in 1948'. "It was one of the pieces of history either not available in my reading, or it hadn't fitted into my narrative," he confesses. The two Israelis interviewing Stuart for HonestReporting and StandwithUs drive home the point that Jews have roots in the Middle East: Julie Hazan is from Morocco, Shahar Azani from Yemen. Shahar Azani mentions that neither he nor Julie could satisfy the late Helen Thomas, who told Jews in Israel to 'go back to Germany and Poland'. If they returned they would be allowed no semblance of Jewish life in Arab countries, difficulties Jews shared with other minorities, Shahar Azani tells Stuart. 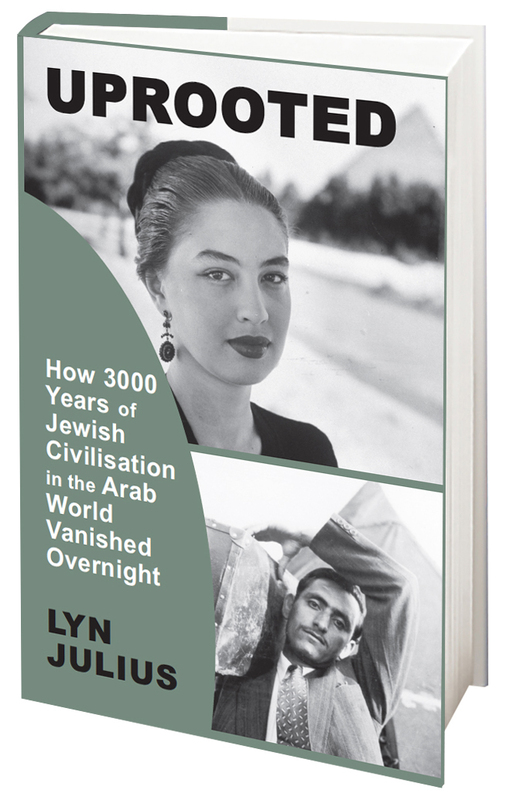 You can listen to this segment on Jews from Arab lands from 10:30 minutes into the podcast. the Jewish people. Yemenite chanting on Tisha B'Ab at the Western wall in Jerusalem. General JFR Jacob, pictured at a Kolkata rally in 2012. There are many unsung heroes of the Jewish people. I just feel most of them are Sephardic. The further south and east you go from the shtetl in our collective memory the less the warrior-queens, rabbis, commanders of amazing deeds are remembered. Sephardic history is not properly taught in Jewish schools. It is given little respect in our yeshivas. Even in Israel, when designs for new banknotes were proposed in 2013, they omitted any Sephardic heroes — even though Jews whose roots lie in North Africa and the Middle East make up nearly half of Israeli Jews. Sephardic Jews are not without heroes. Ignoring them leaves us poorer. Our story is so much richer — and unexpected. Who remembers General J.F.R. Jacob? Outside of India, Pakistan and Bangladesh — no small place — the story of one of the greatest Jewish generals of the 20th century is practically unknown. It was the tactical genius of a Jew that liberated Muslim Bangladesh. Yet Israel and the Diaspora barely took notice of him as he did it. Born in Calcutta in 1924, at the heart of the Baghdadi Jewish community, streets away from my grandfather, Jacob Farj Rafael (“J.F.R.”) Jacob signed-up in the Second World War when news of Holocaust first reached him. The Jacob family, which like the Judah family, left Iraq for India in the 18th century, sheltered Ashkenazi refugees in Calcutta in 1942. Their stories from Germany and Poland spurred the young man into the war against Hitler. Devoted to the British Indian Army, which in 1947 became the army of the new India, J.F.R. was the mastermind of the Indian invasion, which liberated the 65m Muslims of what was then known as East Pakistan and later became Bangladesh. Convinced that victory lay in fighting through the monsoon and in circling the big Bangladeshi cities, Jacob spread his forces through the marshes and riverine swamps which form the Ganges delta and secured a total victory. The 93,000 Pakistan forces surrendering to him in Dhaka marked the largest military surrender since the Second World War. Across India, Pakistan and Bangladesh, General Jacob is seen to this day as a military hero and a Jew unflinching in his devotion to India. Why have we done so little to remember his memory for ourselves? Despite the interest around Lebanese Jews in media, literature, and cinema, there is not much scholarship on the history of this community. 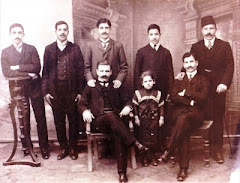 Tomer Levi, a young Israeli scholar, took on the task of writing a book, which he entitled The Jews of Beirut: The Rise of a Levantine Community, 1860s-1930s, published in 2012. The book hasn’t yet made its way to the Lebanese circle, not even with a review or a translated excerpt. 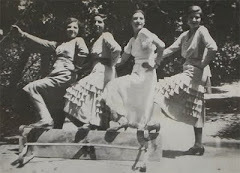 The book does not only address the history of the community, but also the rise of Beirut during the late Ottoman era. 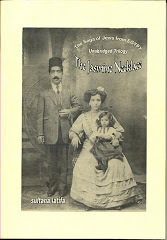 Levi writes in his introduction that he was motivated to do this research when his mother showed him the Lebanese Identification card of his grandmother. 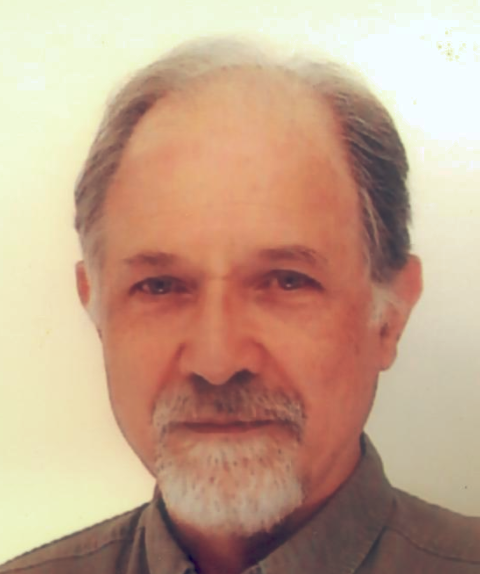 Edmond Safra, the Lebanese-Brazilian Jewish businessman, funded Levi’s research through the International Sephardic Education Foundation. Safra is the son of Yaacoub Safra, the first man in their family of bankers, who had arrived in Beirut from Aleppo right after World War I. 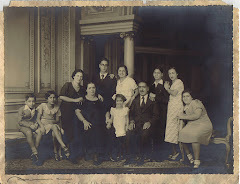 The waves of migration tell us much about the dilemma of Beirut’s Jews- the community came to be formed “out of nowhere” in modern times- an accumulation of different migrations across the Ottoman empire between late nineteenth century and early twentieth century. 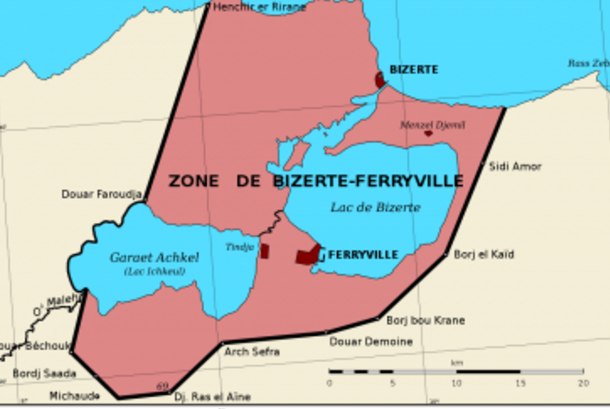 Levi finds this history to be a “unique Middle Eastern experience of Jewish presence,” that came about during the rise and expansion of Beirut as a port city at the time. From 100 Jews in 1800 to 3500 in 1920. Steamboats had brought life to trading in the Eastern Mediterranean region, at the expense of freight transport. The Suez Canal was opened in 1869, bringing more trading into the region. Port cities prospered, becoming architectural landscapes where freight transport and sea trading come apart and connect. From a mosque in California comes a dangerous falsehood: Between the 20th century World Wars Muslims welcomed into their homes Jews fleeing antisemitism. These would subsequently betray their hosts by seizing Palestine. Syrian-American Sheikh Mahmoud Harmoush only betrays his ignorance: the vast majority of Jews were living in the Middle East and North Africa for close on 3,000 years, well before Islam. And antisemitism was not solely a European problem. See MEMRI clip (with thanks: Lily): Sheikh Mahmoud Harmoush: "Between World War I and World War II, so much of the immigration that came from Europe toward the Islamic world, whether North Africa or the Mediterranean area – Palestine, Lebanon, Syria, and all of this... Muslims were opening their homes and saying: Those are our brethren, persecuted by the Christians in Europe. The Jews were coming from Germany, Poland, Italy, and everywhere else, and [the Muslims] would give them rooms, shelter them, and help them out, not knowing that there was a plan. Within the thirty years between the two incidents, until 1948 and the British occupation, everything was plotted to take over that beautiful land, in the way that we all know – with killing, crime, and massacres." (JTA) — Gina Waldman was forced to flee her native Libya in 1967 as anti-Jewish mobs took to the streets of Tripoli, burning down her father’s warehouse. The State Department’s Cultural Property Advisory Committee convened this week to discuss and consider the request, which Libya submitted in June. It has not announced a decision. The State Department emailed JTA saying it would comment by Monday but did not follow through. Today, Jews account for less than 3,000 of Morocco’s 35 million residents — a small fraction of the nearly 300,000 who lived here before the establishment of Israel in 1948. Still, that tiny figure makes Morocco home to the largest Jewish population in the Arab world. And unlike other Arab countries, which essentially expelled their Jewish communities around the time of Israel’s establishment, the Jews of Morocco were not forced out when Israel declared its independence. To be sure, there were isolated cases of violence against Jews in Morocco during this time. For example, in June 1948, two days of anti-Jewish rioting killed 44 people and wounded some 60 others. Still, attacks on the Jewish community were mild compared to other Arab countries. In Iraq, Egypt, Yemen, Algeria and Libya, for example, government-sanctioned anti-Jewish policies led once-large Jewish communities to dwindle to zero. 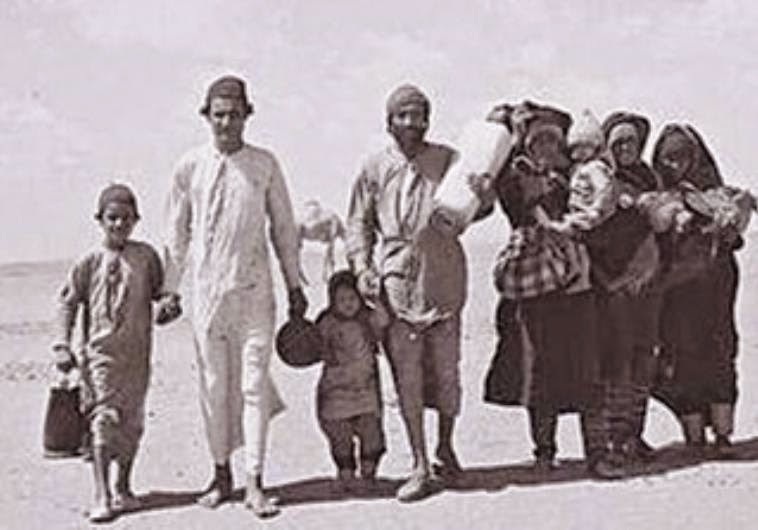 One of the most infamous attacks occurred in Iraq before Israel’s establishment, in June 1941, when over 900 Jewish homes were destroyed and 180 Jews were killed, including women and children, in a gruesome pogrom known as the Farhud. 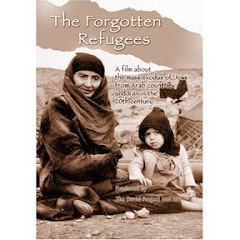 “Jews in Morocco saw the writing on the wall,” said Robert Satloff, director of the Washington Institute for Near East Policy, who spent two years living in Morocco while researching his book, "Among the Righteous: Lost Stories of the Holocaust's Long Reach into Arab Lands." There was plenty of anti-Jewish sentiment in Morocco at the time, said Satloff, but compared to Jews in other Muslim-majority countries, the Jews of Morocco were relatively better off. “They weren’t stringing Jews from street posts like they were in Iraq." 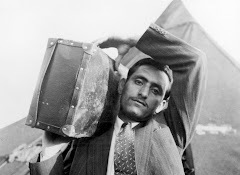 Most of Morocco’s Jews, he said, left not because they were expelled, but because they felt a growing sense that they had no future there. 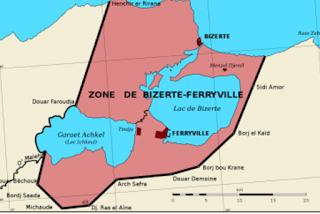 Morocco was under French and Spanish rule until 1956, and as the Arab nationalist movement gained momentum, hostility toward Jews increased, he said, leading the vast majority of Morocco’s Jews to move to Israel, France and Canada. “It was really this mix of feeling like there’s no future for us in Morocco, and knowing we have a homeland to go to,” he said, referring to Israel. Yet despite the forces of Arabization and anti-Israel sentiments that gripped Morocco half a century ago, today Morocco is the only Arab country whose leader actively protects its Jewish community, said Satloff. André Azoulay is a Jewish senior adviser to the king of Morocco, Mohammed VI. He also served his father, King Hassan II. Explaining how Morocco has remained protective of its Jewish community despite the anti-Jewish sentiments that overtook other Muslim countries in the wake of Israel’s establishment, Azoulay said, “We are fighting for that. But it’s not just top down,” he said, referring to the king’s protection of the community. “It’s also bottom up. Judaism in Morocco is in the roots, the identity, the mindset of the Moroccan people. Indeed, in 2011 Judaism became enshrined in the nation’s constitution as a facet of Moroccan identity. 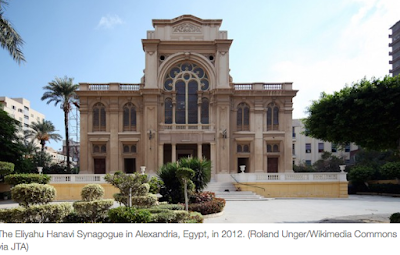 Azoulay cautioned against painting a sweeping brush of anti-Semitism across the Muslim world. After all, Arabs are a Semitic people as well, with Hebrew and Arabic sharing the same roots. 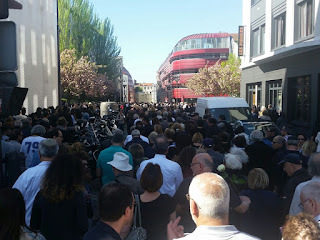 For the first time in recent history there were no Shabbat services at the Neve Shalom synagogue in Istanbul, following a violent protest last week by a fascist youth group, The Algemeiner reports. Activists from a Turkish fascist youth movement whose leader enjoys close relations with Turkish President Recep Tayyip Erdogan attacked the Neve Shalom synagogue in Istanbul on Thursday, throwing rocks at the building and kicking its doors during a protest against Israel’s decision to install metal detectors at the entrances to Jerusalem’s Temple Mount. On Friday afternoon, the community announced that it had taken the “unprecedented step” of closing the synagogue for shabbat services on both Friday night and Saturday. A new Knesset lobby calling for the reform of the United Nations Relief and Works Agency (UNRWA) was launched this week. Although Jewish refugees from Arab countries do not figure in the debate, the lobby is an attempt to end the status of Palestinian refugees, which can be passed on from generation to generation, and treat them like other refugees. The Knesset Lobby for UNRWA Policy Reform, which is chaired by MK Sharren Haskel (Likud), will hold its first session tomorrow (Wednesday) in the Likud Conference Room in the Knesset. The session will deal with UNRWA's policy of eternally perpetuating the refugee status of the Palestinian Arabs. Palestinian Arabs are the only population in the world whose refugee status is inherited, and are the only refugees who do not fall under the purview of the United Nations High Commissioner for Refugees (UNHCR). The session will also deal with the prevalence of incitement against Israel and Jews in the textbooks used in UNRWA schools. David Bedein, the director of the Center for Near East Policy research and the initiator or tomorrow's event, explained why the lobby will focus on reforming UNRWA instead of abolishing the organization. "​UNRWA operates under the mandate of UNGA, [the] United Nations General Assembly, and only they can "dismantle" UNRWA," Bedein explained. "1.​ The radical Islamic state of ​Qatar, which has established a ​​presence in Gaza and in Judea/Samaria​, would ​likely step in to replace any income lost from ​West​ern cuts to UNRWA​. "2. Saudi Arabia, which recently increased its funding of UNRWA to become the number three donor, would ​likely ​increase its contribution to UNRWA." Campaigners representing Jewish communities expelled from Arab countries reacted furiously on Tuesday to an effort by the current Libyan government to win legal recognition for its claims to property of Jewish heritage. 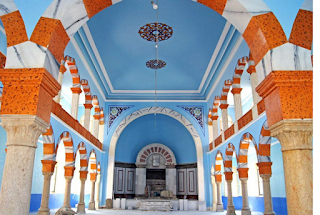 In addition, under the terms of a Memorandum of Understanding (MoU) which the Libyans have submitted to the US State Department, the historic properties of the Jewish community in Libya — including archives, holy books and objects used in synagogue worship — would be barred from entry into the United States. “I ask the Libyan government: ‘Where are the bones of my ancestors? Give them to me, I want to give them a proper burial,'” Libyan-born Gina Bublil-Waldman — co-founder and president of advocacy group JIMENA (Jews Indigenous to the Middle East and North Africa) — told The Algemeiner on Tuesday. Point of No Return adds: the precedent has already been set in the case of the Iraqi-Jewish archive, the waterlogged Jewish books and archives shipped to the US from Iraq for restoration. The US signed an agreement with Iraq promising to return the collection to Iraq. International law treats stolen cultural property as belonging to governments, not to the community from which they were unlawfully taken. The Tunisian-born stand-up comic Michel Boujenah will appear today, 19 July, as scheduled at the Carthage Festival, despite calls for him to be disinvited 'as a pro-Zionist', Le Figaro has reported. always fought for peace," Boujenah retorted.
' It is natural that, as a Jew, he should feel an attachment to Israel," said Rassaa. Boujenah himself said he was simply an artiste, a clown, not a politician or an economist. 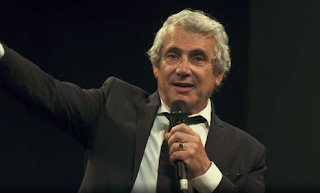 "We are living in a difficult age, where the tendency is to export the Israel-Palestine conflict, " claimed the stand-up comic, who settled in France aged 11. "My position is simply to support the fragile democracy taking root in Tunisia." Lat week the UGTT union, a recipient of the Nobel Peace Prize of 2015, issued a communique appealing for Michel Boujena's gig to be cancelled. The official text of the union's communique said that it did not want to pick on him for his religion but for his political convictions. Legislation allowing for graves to be dug up as part of the new investigation into the fate of children who went missing from 1948 through 1970 was approved by the Ministerial Committee for Legislation on Sunday. 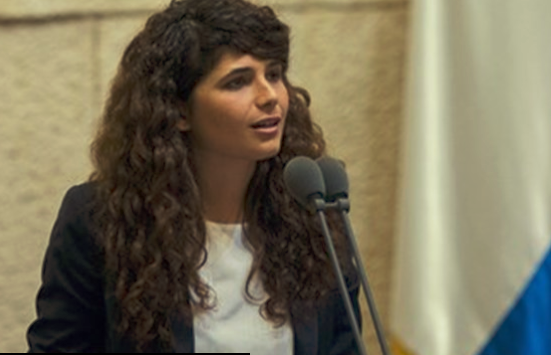 Likud MK Nurit Koren – who proposed the bill and is chairwoman of a special Knesset committee on renewed efforts to find out what happened to the children, most of whom were Yemenite immigrants – pledged to do all she can to help families who lost their loved ones. “We are working especially hard to uncover the truth about this horrible affair, through legislation and through the special committee’s work,” she said. 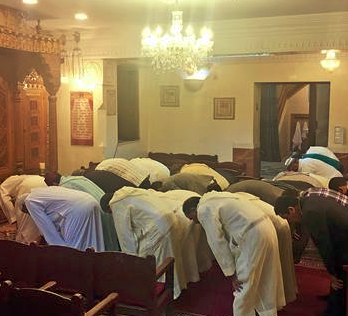 Imams in Libya's eastern province of Cyrenaica were called upon to lambast in their Friday sermons the recent conference held in Rhodes between Libyan Jews and Arabs. The imams were particularly alarmed by talk at the conference of a Jewish 'right of return' to Libya. In their appeal, the Council of Imams in Cyrenaica referred to Jews as criminals and grandchildren of monkeys and pigs who had insulted the Prophet Muhammad. "These Jews want to come back to Libya and get money; traitor Libyan secularists were helping them because the Jews gave them money to do so," the Council declared. 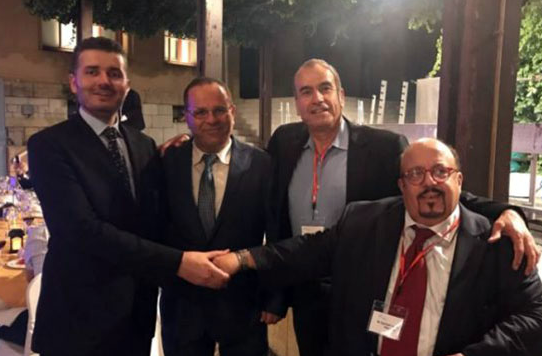 Raphael Luzon, president of the Union of Jews from Libya, wrote on his Facebook page:"It is strange that someone should pay a lot of money to organise a Convention that speaks ONLY about Peace and Dialogue and Reconciliation for the sake of Libya only to be greeted with threats. And just to be precise...Those who have stolen money (a lot of money), lands and properties, killing civilians are the Libyans (1945 - 1948 - 1967) - from their Jews!!" 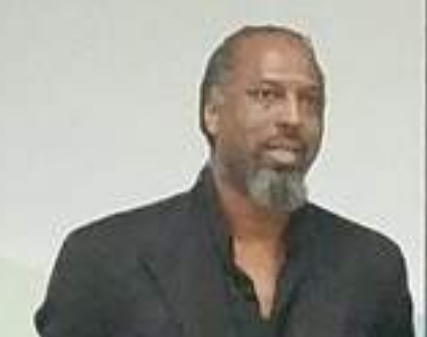 Luzon escaped murderous riots in his native Benghazi in 1967 and lost several members of his own family when a Libyan army officer went on a killing spree. Luzon reassured the imams, adding: "Don't worry. 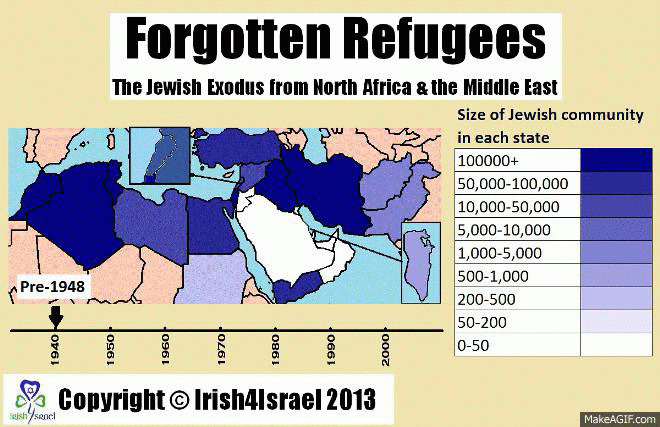 Not even one Jew want to come back to resettle and live in Libya! Many would like to come to visit, to spend summer holidays, maybe to do business and to invest money. That's it!" An architect of Tunisian origin is behind a project to build a Museum to Jews from Arab Countries. Jean-Loup Mordehai Msika explains why such a museum, in the heart of Jerusalem, is vital to inform visitors of the ancient roots of the Jewish people in the Middle East. The project, unveiled publically for the first time on Point of No Return, has the backing of the coalition of associations of Jews from Arab countries in Israel and is now with the Jerusalem municipality for approval. "When dignitaries, diplomats or foreign heads of state visit Israel, they are ritually taken to Yad Vashem, as if this museum revealed the founding element of modern Israel and Zionism. This only reinforces the false narrative circulated by our enemies, according to which Israel would be a colonial creation of Europe, as a compensation for the Holocaust, "at the expense of the Palestinians." For a long time, I have been thinking about the need to create, in the capital, Jerusalem, a major place, a Memorial-Museum, dedicated to the history and culture of the Jews from Arab and Muslim countries, so as to inform foreign heads of state, visiting dignitaries and diplomats about the ancient roots of the Jewish people, the genuine aboriginal people in the Middle East and North Africa. The Jews were present there centuries before Christianity or Islam ever existed. They were occupied and colonized by Muslims in the 7th century, subjected to the status of "dhimma" (a cruel system of apartheid), to genocide over the centuries and to ethnic cleansing in the 20th century. Jewish independence in the state of Israel, in the very region where its ancient roots are a historical fact, is the only alternative to the unacceptable "dhimma" that lasted 14 centuries. All of this needs to be made apparent and obvious by a visible Memorial-Museum, in the heart of the capital, Jerusalem. 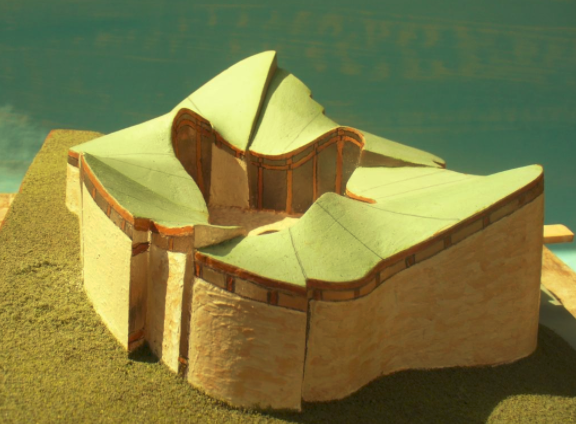 I happen to be an architect, a town planner and a visual artist. In agreement with the Coalition of Jewish Associations of Arab and Muslim Countries, represented by its President, Mrs Levana Zamir, I have endeavoured to work on a proposal for a Memorial-Museum dedicated to the history and culture of Jews from Arab and Muslim Countries. 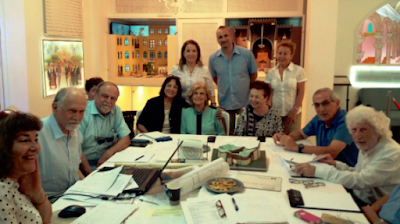 Under Mrs Levana Zamir's guidance, we held on 26 June 2017 a whole day symposium, at the Cultural Center of the Jews from Egypt, in Tel Aviv and a fruitful brainstorming. 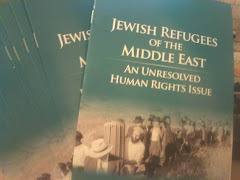 "This is not out of the blue," said Zamir at the symposium, "one of the resolutions presented to Prime Minister Netanyahu in June 2011, by the National Security Council, was exactly that: to establish a Museum for the History of the Jews from Arab and Islamic countries, as an integral part of that region, and to commemorate the "ethnic cleansing" tragedy of almost one million Jews from their ancestral land of birth - giving legitimation to the state of Israel". In June 2017, the heads of the Coalition of associations representing Jews from Arab Countries in Israel held a brainstorming on the museum project. During the symposium, I presented detailed program for the Memorial-Museum, drawings, a 3D model, and a proposal for the most appropriate site, in the urban context of the capital, etc ... We are now waiting for a chance to discuss this proposal with the municipality of Jerusalem after we deposited the 3D model of the Museum at the Mayor of Jerusalem's Office." LONDON — Those close to the Rabbi Joseph Dweck affair have described is as “a behemoth of an issue.” It’s a suitably biblical term for what might seem, on the face of it, an arcane spat between British religious scholars over the permissibility — or not — of homosexuality. But, in fact, the repercussions of a lecture which seemingly condoned homosexual relationships that Dweck delivered in London this past may go far beyond that. At stake could be the Jewish religious status of anyone who has availed themselves of the rabbi’s services, whether for circumcision, conversion or marriage. 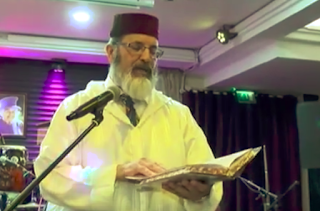 The uproar follows a 97-minute talk the rabbi gave to members of the Ner Yisrael Community in Hendon, northwest London, on homosexuality in Jewish law. “[W]e have to see ultimately how it is we deal with it in terms of Torah and society,” Dweck said at the lecture. “If we do not hang our prejudices at the door when we deal with it, and don’t look at Torah as it is and what it is saying to us, and stop with the insane bigotry and prejudice we’ve got, we will be on the out and society will move forward because [God] doesn’t wait for anybody. He is taking His world into love.” As the senior rabbi of the Spanish and Portuguese congregation — and thus, effectively, the titular head of Britain’s small but vibrant Sephardi Jewish community — the Los Angeles-born rabbi has attracted a devoted following since taking up his post three years ago. In a break with the past, Israel's Labour Party now has a Sephardi leader, Avi Gabbay. He won the run-off against another Sephardi, Amir Peretz. The son of Moroccan Jews from Casablanca, Gabbay was born in 1967 in Jerusalem. A leader with little political experience and no seat in the Knesset, Gabbay has been hailed as 'the new Macron'. The first step will be remaking Labor’s image as the main party in opposition to Prime Minister Benjamin Netanyahu, after former chairman Isaac Herzog was not seen as effective in that role, abdicating it to Yesh Atid leader Yair Lapid. 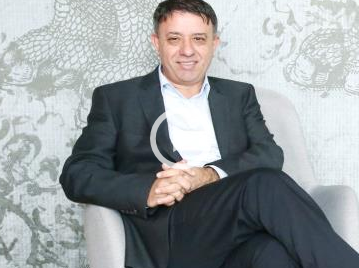 It will be especially hard for Gabbay to remain in the public eye, because he is not a member of Knesset and does not receive the stage that the Knesset regularly provides. At least he will be able to speak at weekly faction meetings and will not have to rely on Facebook to approach the public, as have former ministers Gideon Sa’ar and Moshe Ya’alon. Labor under Gabbay will fight Netanyahu on both diplomatic and socioeconomic issues, and perhaps also on matters of religion and state. However, Gabbay has made a point in recent interviews of not wanting to be judged in comparison with Netanyahu. Gabbay wants to focus on building Labor by remaining in the field, as he did during his campaign, and reaching out to sectors that Labor has not attracted in recent years. Gabbay can only hope he can sweep the country off its feet the way Macron did. He will have to learn from both Macron and Blair to succeed. Who is Avi Gabbay (Wikipedia)? Gabbay was born in the Baka neighbourhood of Jerusalem, and was the seventh of eight children born to Muiz and Sara Gabbay, Jewish immigrants from Morocco. His family was originally from Casablanca. His father worked for Bezeq, and in his youth he would also work at his father's company during his vacations. He studied at the Geulim primary school, where he was identified as a gifted child, and attended high school at the prestigious Gymnasia Rehavia. After graduating high school, he did his national service in the Israel Defense Forces in the Intelligence Corps, reaching the rank of Lieutenant. After leaving the army, he completed a BA in economics and an MBA from the Hebrew University of Jerusalem. Patriarch Louis Raphael I Sako, head of the Chaldean Catholic Church of Babylon, called upon Muslims to stop discrimination against minority groups, which, he said, leads to marginalization. Speaking on the Iraqi Dijlah TV channel on June 16, he said that just as the Christians had historically welcomed the Muslims, "who came from the desert," into their schools, monasteries, churches, and hospitals, more emphasis now had to be placed on coexistence and respect, "regardless of skin color, faith, and language." 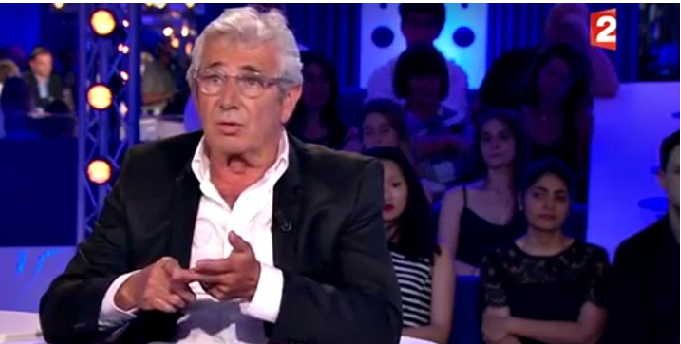 Louis Raphael I Sako: "Notions [like calling Christians 'infidels'] are old and should not be used today. The Christians must not employ the medieval notions of the Crusades, and contemporary Muslims must not employ the notions of those times. For example, the notion of dhimmis was very positive and civilized back then. The soldiers who would go to fight were Muslims, and the Christians would pay the jizya poll tax in support of the war effort. But today, the Christians serve in the army and in the police. So the notion of dhimmis must be abandoned and, thank God, it has been. Besides, how could you possibly know what I believe in? Do not rely on circumstantial matters alone. We need a new understanding of the religious texts. Our Muslim brothers believe that these texts are the words of Allah, and I respect that. But the text should be understood through a profound and realistic reading, which would appeal to people and not incite strife. In addition, at a certain period in the past, the Jews and the Christians might have constituted a threat to Muslims. There is such an opinion. But today, half a million peaceful Christians, who sacrificed so much for Iraq throughout history, are considered infidels and are targeted, and there is pressure on them to convert to Islam, to pay the jizya, or to be killed. This is a disgrace! Naturally, this distorts the image of Islam and deepens Islamophobia. This distorts the image of Islam in the eyes of all Westerners. Where is this going? Look at what is happening on TV channels and the radio. [Muslim preachers say:] 'Allah, curse the Christians, the Jews, and the Sabeans!' 'Turn their wives into widows!' 'Turn their children into orphans!' What is this?! You are supposed to pray for everybody. They also say: 'Allah, protect the nation of Islam, the nation of Muhammad!' Why? We are all Iraqis. We never pray for the Christians only. We pray for all Iraqis, for all mankind. This kind of discrimination makes you feel marginalized and unwanted. In diplomacy they call it persona non grata. But this is my country, my land. I was here before you. We (Christians) welcomed the (Muslims) in our schools, our monasteries, our churches, and our hospitals throughout history. Bayt Al-Hikma, the doctors in the palaces of the Caliphs… Who used to treat and cure the (Caliphs)? Who was the educated class? The Christians. The (Muslims) came from the desert. Today, there is a need for change. More emphasis should be placed on coexistence, and respect for every human being. Regardless of skin color, faith, and language, he is Iraqi." To see five-minute clip of the celebration, click here. 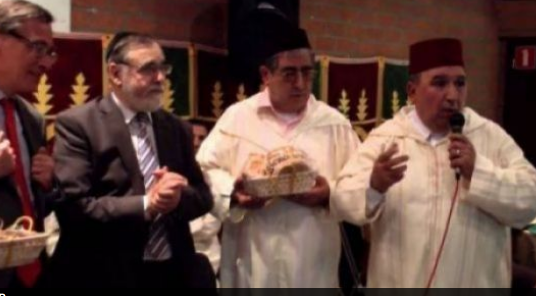 The Jewish Moroccan community in England celebrated on Thursday night the Mimouna, a three-century-old North African Jewish celebration held the day after Passover. In an environment of coexistence and harmony, Jews and Muslims gathered in a large hall in London to recall the splendid years of communication in various cities in the Kingdom where Muslims and Jews lived together tolerating and respecting one another. 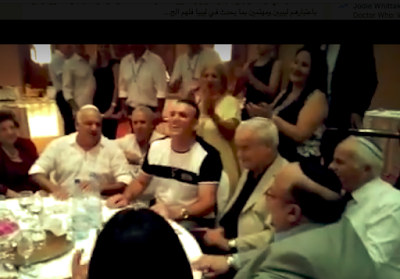 This event, which was attended by Matthew Offord MP, was an opportunity to celebrate Judeo-Moroccan culture through music and songs interpreted by the group Mustapha Bahja which brings together Jewish and Muslim musicians. This festival was organized with the support of the Council of the Moroccan Community Abroad, the Al Hasaniya Association, the World Federation of Moroccan Judaism and the Moroccan National Tourist Board. The Moroccan Jewish community of England took this opportunity to reiterate its strong attachment to its Moroccan origins. 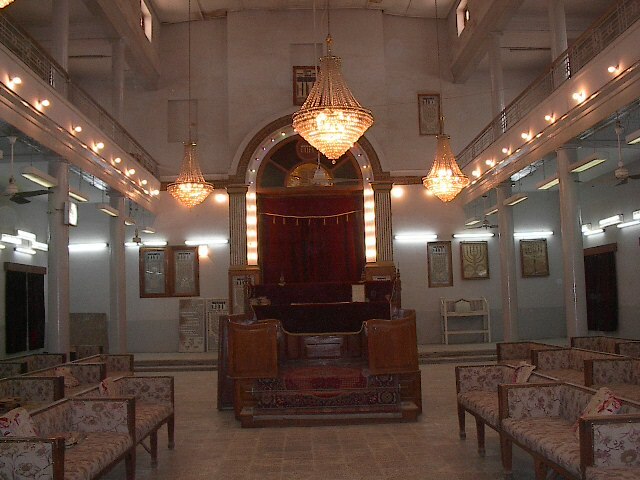 The Ministry of Antiquities’ Project Sector on Wednesday approved the funds for restoring and developing the Eliyahu Hanavi Synagogue, according to the head of the Islamic and Coptic Monuments Department, al-Saeed Helmy Ezzat, The Egypt Independent reported from a translation of the Arabic-language daily Al-Masry Al-Youm. 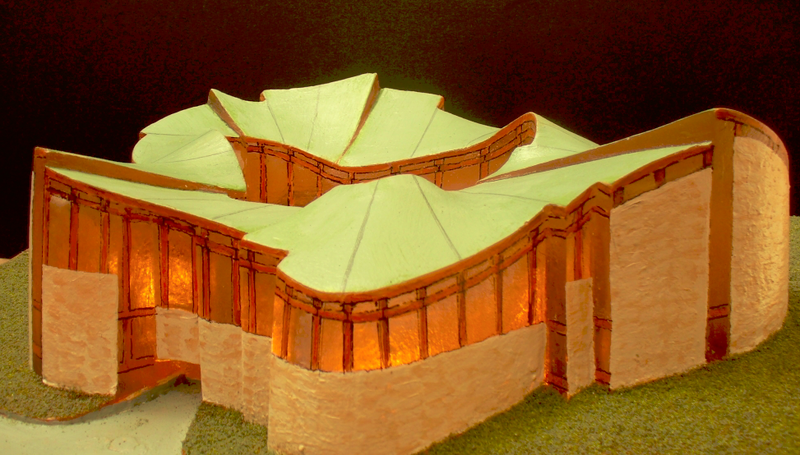 The synagogue was forced to close several months ago after part of its ceiling collapsed, The Independent reported. In the current climate of the Iranian government’s antagonism toward Israel, the remaining Jewish population of Iran, which numbers perhaps 9,000, is caught in complex circumstances. Iran’s Jewish community has to be extremely cautious of showing any sympathy toward Israel. If they exhibit any sign of this, they risk serious criminal charges, such as being labeled an Israeli spy. Consequences of these charges range from torture to death. Each word spoken, each action taken, and all movement throughout the community is calculated and evaluated carefully to prevent these consequences. Still, this is not enough. The government authorities intervene in the few Jewish schools that remain. Jews are not allowed to become school principals. The curriculum has changed, and activities are monitored to make sure, for example, that the main language is Persian and not Hebrew. Distribution of Hebrew texts or the teaching of Judaism is risky and strongly discouraged. Even within school walls, the Jewish community cannot expect any form of safety or freedom. Current restrictions and discriminatory policies against Jews include bans against Jewish people in key governmental and significant decision-making positions: A Jewish person can’t be a member of the influential Guardian Council, a commander in the army, or serve as the president of the nation, among other restrictions. Jews are not permitted to become a judge at any level or assist in the judicial or legislative systems. Furthermore, Jews are banned from becoming members of parliament (the Consultative Assembly) through general elections. Jews are not allowed to inherit from Muslims. But, if one member of a Jewish family converts to Islam, he would inherit everything. This law seems to be designed to promote conversion to Islam by providing financial incentives. There exist several forms of discrimination in the penal code as well. Qisas, or the right to equal justice, has not been specified in the penal code for the Jewish people. For example, if a Jew kills a Muslim, the family of the victim has the right to ask for execution as a penalty, but if a Muslim kills a Jew, the right of a family member to demand the execution of the murderer would be left to the discretion of the judges. The official religion of Iran is Islam and the Twelver Ja’fari school, and this principle will remain eternally immutable. Other Islamic schools are to be accorded full respect, and their followers are free to act in accordance with their own jurisprudence in performing their religious rites. These schools enjoy official status in matters pertaining to religious education, affairs of personal status (marriage, divorce, inheritance, and wills) and related litigation in courts of law. In regions of the country where Muslims following any one of these schools constitute the majority, local regulations, within the bounds of the jurisdiction of local councils, are to be in accordance with the respective school of fiqh, without infringing upon the rights of the followers of other [Islamic] schools. One might wonder how Iranian leaders dare to boast about equality between Jews and others while intimidating entire segments of its population into silence under laws that are manifestly unequal. To further insult the communities, they claim that Jews remain in Iran because they are treated equally. The impression is given that the Iranian government has created such a welcoming space for its Jewish community that they would freely choose to live there. There is no mention of the vast majority of people that have fled the oppressive laws and policies and settled in other countries for the sake of their physical safety. So who stays in Iran? Some of the Jews who have stayed in Iran are elderly and unable to tolerate travel or establishing a new home in a foreign country. Some Jews are determined to protect their sacred places and synagogues, or family homes. Indian-origin Israeli singer, Liora Itzhak, flew to India at the age of 15 to learn Indian classical music at Sur Sarvadhan Insititue in Pune. She tried to get a break in Bollywood, sang for a movie -- Dil ka doctor -- but things didn't pan out well. Liora, homesick, left Pune and returned to Israel in 1990s. 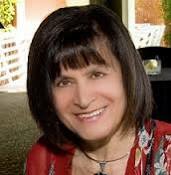 Now, years later, Liora Itzhak has been chosen to sing the national anthems of Israel and India to welcome Prime Minister Narendra Modi. Liora was also selected by the Israeli President's office in 2015 to sing at the banquet dinner hosted in honour of President Pranab Mukherjee during his visit. Liora Itzhak now wishes to re-live her Bollywood dream. Liora has sung with famous singers like Kumar Sanu, Udit Narayan and Sonu Nigam while she was in India. Between 1991 and 1997, she learned to sing bhajans and ghazals. "I was 23 and terribly homesick having spent eight years away in difficult conditions from my parents and siblings. I love India but I just could not bear this separation anymore", Liora told PTI when asked about leaving India. Mala Mala, what she calls it her "Israeli Bollywood number", made her popular in the Israeli music industry. Liora's Tu Hai Mera Pyar Pehla was a fusion of Hindi and Hebrew words and the song made her a household name in Israel. The inexplicable failure of the French police to enter Sarah Halimi's apartment could have cost the Jewish doctor her life at the hands of an Islamist neighbour. A lawyer for the family of Sarah Halimi told i24NEWS on Monday that a complaint will be filed against the police for failing to enter the building and preventing the Jewish woman's death in April. Sarah Halimi was beaten and thrown to her death from the window of her Paris apartment by her 27-year-old neighbor Kobili Traore. French police arrived on the scene but reportedly refused to enter the building until specialist backup had arrived, during which time a neighbor recorded Halimi's screams as she was attacked by her neighbor. Witnesses testified that Traore shouted "Allahu akbar" ("God is great") during the attack, while Halimi's daughter said that he had two years ago called her a "dirty Jew." "I can confirm that I have filed a complaint with the Paris public prosecutor against the police," said lawyer Gilles William Goldnadel, explaining that it is up to the investigation to determine which branch of the force bears responsibility for the failure to save Halimi's life. "It is totally incomprehensible, in the literal sense of the word, to explain why the police did not intervene for an hour when for at least thirty minutes of that a woman was tortured by her assassin." Two interesting facts emerge from this article in Middle East Eye about Kurdish Jews: Mawlud Afand, the editor of the Israel-Kurd magazine abducted in 2012, was released from Evin prison in Tehran in 2015 ( but Point of No Return has reason to believe he is still in Iran). The other is that Sherzad Omar Mamsani, who was temporarily suspended as head of the Jewish directorate in Kurdistan, is self-appointed and not altogether trusted. 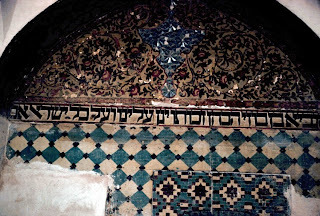 Since the Kurdish-Jewish community has not existed since 1950, the 'Jews' referred to in this article are most likely 'Ben-Ju' of Jewish ancestry. In Iraqi Kurdistan, which prides itself as a bastion of tolerance in the region, and which will vote in an independence referendum in September, a higher, yet debated, number reside. As many have converted to Islam and Christianity over the years and others pose as Christians and Muslims, statistics are unclear and call into question what defines a "Jew". Mordechai Zaken, historian and former adviser to Israeli Prime Minister Benjamin Netanyahu, has said that most of the several dozen families that had some distant family connection to Judaism immigrated to Israel in the aftermath of the Gulf War. "Most of these people are Muslim Kurds who perhaps have a grandmother or great grandmother of Jewish origin who converted to Islam two or three generations ago," he told the Jerusalem Post. Decades into life without a Jewish support system - synagogues, rabbis, collective holiday celebrations - the once flourishing sense of Jewish community has faded. Additionally, incidents reminding Jews to proceed with caution have not been consigned to the 20th century. In 2012, Mawlud Afand, the publisher of the now discontinued Israel-Kurd magazine, which one Sulaimaniya man remembers buying covertly "like [he] was buying cocaine," was kidnapped and imprisoned in Iran after repeated warnings to cease publication, according to those close to him. He was released in 2015. A seemingly progressive development came in 2015 when the Kurdish Regional Government (KRG) passed the Law of Minorities, which gave a handful of minority religions - Zoroastrianism, Yarsanism and Judaism among others - the right to official representatives in the KRG through the Ministry of Endowment and Religious Affairs. The Jewish representative appointed by the KRG was Sherzad Mamsani, a man who says he lost his right hand in a 1997 bombing in which he says he was targeted for his faith. Among his goals, he said, is the restoration of the region's Jewish historical sites, erection of synagogues, and the carrying out of a public relations effort to improve the perception of Jews. One Kurdish Jew, who did not want to give his name, remembers vividly his father's reaction when he first heard the news of Mamsani’s appointment. "My father was so happy, he cried at the first mention of a Jewish representative," he said. But two years into his post, Mamsani has struggled with his own image in Jewish communities. Just months after his appointment, Zaken told the Jerusalem Post that Mamsani was "someone who does not distinguish between truth and lies in his eagerness," adding that his "publicity campaign" is "causing confusion" and "damaging the KRG". 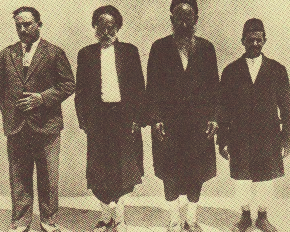 Zaken, the author of Jewish Subjects and Their Tribal Chieftains in Kurdistan, accused Mamsani of inflating the number of Jews in Kurdistan for political gain. Most recently, Mamsani has controversially undertaken a mission to conduct a census of Jewish families in the region by aggregating documents, an initiative he once described in a 2016 Times of Israel interview as "insanity" and an idea that would let "enemies find us and kill us little by little". "Information can be bought in Iraq," worries one Jewish man with his information, given over by a family member, now on file. While some families have cooperated, others have balked at what they see as a double standard initiated by a leader who claims to have, but has not proved to have, Jewish roots and official connections. KRG's Director of Relations and Religious Coexistence, Mariwan Naqshbandy, confirmed to MEE that Mamsani was granted his post, which is unpaid, without presenting paperwork or community input, but simply after putting himself forward for the role. One Jew who has met Mamsani, speaking on behalf of his family, said: "We didn't turn over paperwork. I haven't seen good or bad things yet - I just don't trust him. "Lots of Jewish people are asking who he is. They don't want to show their documents. They want proof [of who he is] before coming out." But confirmation won't be coming from what many believe to be the most validating source: Israel. "Sherzad is not an Israeli citizen, has no [sic] an Israeli passport and has no connection to the Israeli government or any official standing in Israel," Margalit Vega, the director of Israel's Gulf States Department at the Foreign Ministry, wrote in an email to MEE. Earlier this year, Mamsani temporarily stood down for what he called "some reasons," and he himself admits to having many critics. "Most of my community [is] anti-Sherzad," said Mamsani, who repeatedly stresses that he's not a politician. The Jewish representative seems to be most favourably viewed on foreign trips and in external publications, where he is painted as a brave champion for religious minorities who, as Mamsani puts it, "stands in the centre of the fire among radical Islamic countries". Delegates from Israel, Libya and the Libyan-Jewish diaspora participated in the conference. The meeting will last for three days, according to media sources. In the meeting, the Israeli Minister of Communications, Ayoob Kara, held talks with the former Minister of Media and Information of the eastern government of the Tobruk-based House of Representatives, Omar Al-Gwiri. Another official from the National Salvation Government of Khalifa Al-Ghweil, which is a rial government formed by the General National Congress, attended the meeting and vowed to help facilitate the return of and reconciliation with the Libyan Jews. The President of the (UK-based) Union of Jews of Libya, Raphael Luzon, said before the beginning of the meeting that it will be a very significant step for Libyan reconciliation efforts and will include many Libyan figures. In a surprise move, a senior member of the so-called National Salvation Government of Khalifa Ghwell has announced that Libya’s Jewish community has the right to return as well as be compensated for any losses its members may have suffered. The call was made by Mohamed Ali Triki, a top official in Ghwell’s “foreign ministry”, on Thursday at a three-day conference held on the Greek island of Rhodes. It was organised to mark the 50th anniversary of the last exodus of Jews from Libya as a result of the 1967 Six-Day War. 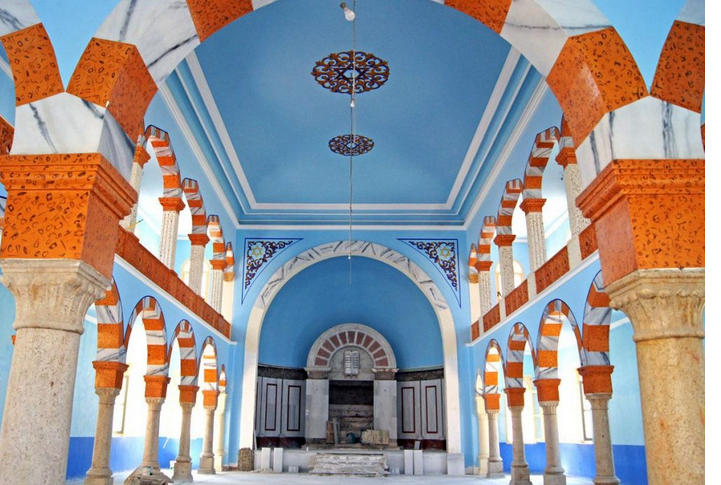 Libya’s Jewish community was part of the national fabric, Triki was quoted as saying, adding that the national salvation government would enable them to return. 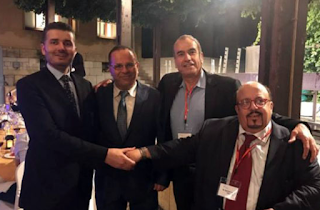 The right-to-return was supported by Omar Gawairi, the Beida-based government’s information chief, who was also attending. Ghwell is reported today to have angrily denied reports that Triki was speaking on his behalf in Greece. He also claimed he had no prior knowledge of the Rhodes conference. Halimi, who was 66 at the time she was murdered, served as a teacher for many years at a Jewish school in Paris. A Muslim attacker stabbed her, then threw her from her third story apartment to her death. The judges on the court asserted this week that the murderer’s lawyers had brought conclusive proof that he suffers from mental illness and was not thinking clearly when he committed the cruel murder; therefore, it is possible that he may even be released without going through legal proceedings. They said that it is possible that he didn’t even intend to kill her when he attacked her. The Jewish community in France intends to appeal the decision when it is officially announced, and is demanding that the court relate to the act as murder with nationalistic intent and not as was asserted. A representative of Halimi’s family said that the act was a terror attack, and blamed police for trying to cover up the murder. The main guest was Michel Boujenah, a French Jewish actor and writer, who engaged in a sometimes emotional examination of Halimi’s murder with three other panelists and the show’s presenter, Laurent Ruquier.